Dave Kurlan is a top-rated speaker, best selling author, radio show host, successful entrepreneur and sales development industry pioneer. He was inducted into the Sales & Marketing Hall of Fame in 2012. Dave is the founder and CEO of Objective Management Group, Inc., the industry leader in sales assessments and sales force evaluations. OMG has been named the Top Sales Assessment Tool for the last 3 years. 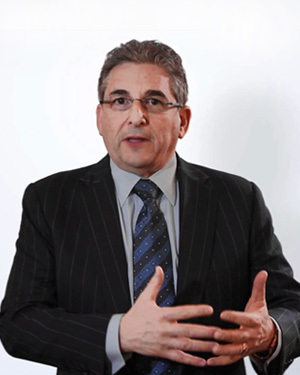 Dave is also the founder and CEO of Kurlan & Associates, a global sales force development firm. He has decades of experience in all facets of sales development, including consulting, training, coaching, recruiting, systems, processes, and metrics. ​Dave has been a top rated speaker at Inc. Magazine’s Conference on Growing the Company, the Sales & Marketing Management Conference and the Gazelles/Fortune Sales & Marketing Summit. ​He has been featured on radio, television and in print, including World Business Review, Inc. Magazine, Selling Power Magazine, Business Week, Sales & Marketing Management Magazine and Incentive Magazine. He hosted the weekly business radio show, Meet the Sales Experts. He is the author of Mindless Selling and the best-seller, Baseline Selling – How to Become a Sales Superstar by Using What You Already Know about the Game of Baseball. He created and wrote STAR, a proprietary recruiting process for hiring great salespeople, and he writes Understanding the Sales Force, voted a Top Sales & Marketing Blog for three consecutive years. He is a contributing author to The Death of 20th Century Selling, 101 Great Ways to Improve Your Life, Volume 2, and Stepping Stones, with coauthors Deepak Chopra and Jack Canfield.